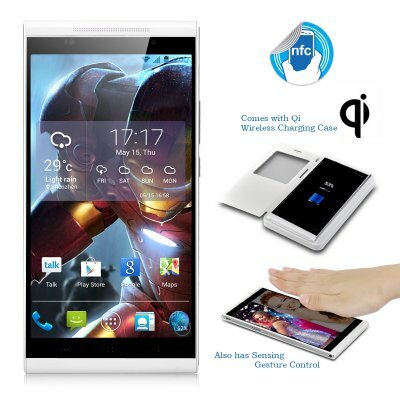 Successfully Added KingZone K1 Turbo Android Phone - 5.5 Inch 1920x1080 OGS Screen, MTK6592 Octa Core 1.7GHz CPU, Qi Wireless Charging Case (White) to your Shopping Cart. KingZone K1 Turbo Android Phone takes its place on the throne as the true King of the smartphone industry as it has a 5.5 Inch 1920x1080 OGS Screen, MTK6592 Octa Core 1.7GHz CPU in addition to coming with a Qi Wireless Charging Case. Kneel down and show your respect to the KingZone S1 smartphone as it comes fully loaded with quality specifications. With an impressive Adonis like body, the KingZone has an ultra-thin full metal rustless shell that frightens off the competition plus hidden under its armor is a lethal MTK6592 Octa-core 1.7GHz CPU that gives the king a royal performance to be worthy of. All applications are operatin will be dealt with effectively and effortlessly thanks to the octa core processor and the backing of 2GB of RAM. 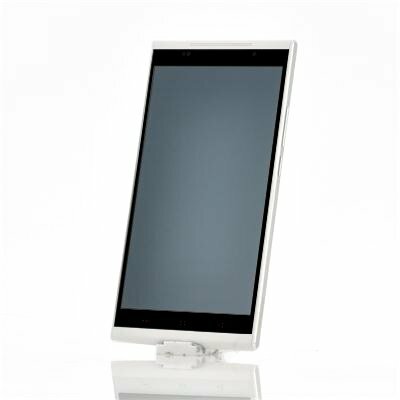 When it comes to appearance, the KingZone enters the chambers with a stunning 5.5 inch touch display that offers an amazing 1920x1080 resolution, meaning all your content will be shown in all its glory. The screen also has Gorilla Glass III and OGS technology resulting in a tough but slimmer design. Android is the brain of this octa phone, and Jelly Bean 4.3 is the version chosen as it faster and contains more features than previous versions such as restricted profiles, notification access and an upgraded keyboard input. Store all your material and content that you may have take with this phone, transfer via micro SD card or downloaded from the online Google play store on the KingZone S1 Android phone’s 16GB of internal memory. If 16GB is simply not enough you can expand the memory further by up to an additional 64GB via the micro SD card slot. Another well-thought out feature is sensing gesture control, which means that on the home page you can navigate through the pages by performing a swiping motion with your hand in the air just above the phone. Gesture Sensing prevents the phone’s screen from becoming dirty when you are eating or working as you don’t have to physically touch the marvelous screen that the KingZone K1 Turbo phone offers. A modern feature that is being implemented on most modern phones is near field communication, otherwise referred to as NFC. NFC is being implemented in different areas especially when it comes to payments as NFC makes it simple for users to make instant payment via their smartphone, using their mobile wallet. Also NFC can make sending a photo or other files to a friend with an NFC compatible phone even easier by just holding it back to back within a few centimeters of each other. The crown jewel coming with the KingZone K1 Turbo octa core phone is a Qi wireless charging case that fits the phone like a glove. Then with qi you can charge your phone wirelessly using a qi charger, which has many advantages including protecting connections and also better durability. The camera at night isn't that good. What to expect from just a phone, right? It's a pitty the charger is not send with the phone. Just increase the phones price a little and send them together, cause it's a real asset. Ordering it separately to Holland is to expensive! this android phone is truly a beautiful thing to behold, it ooze with class, the moment you hold and feel its shape and weight, its the thinness android phone I ever set my eyes on, the keypad and button sounds are different from the usual you hear of other phone, making you unique in your own, of course motion gesture, NFC, and wireless charging are its bonus features, this phone has a good camera and everything else works well. you need to purchase a QI charging pad separately to compliment the included wireless charging case (why not include it in the first place in the original packing? even at added cost, since you need to purchase it just the same, for the wireless charging to work )although you can still charge this phone thru its micro USB port.